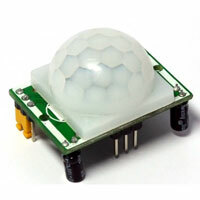 PIR Motion Sensor Modules are now available at low cost and it can be used to make Motion sensor alarms, PIR light switches etc. It requires only a few components and within few minutes, you can make a highly useful gadget for your home. Let us see the details of PIR Module and the circuits. 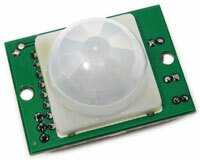 PIR Sensor Module is one of the new introductions in electronics which is a highly useful device to switch on lights when it detects a human movement. It turns on the lights from 30 seconds to 3 minutes depending on the preset adjustments. Its range can be as high as ten meters which can also be adjusted. The module gives a high output when it detects the human movement. 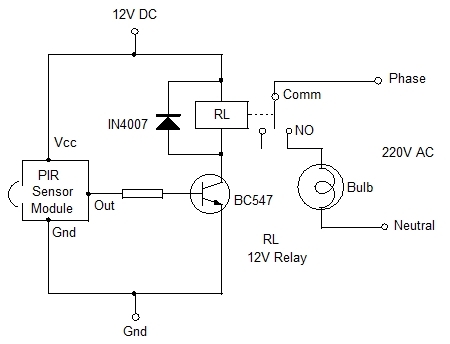 This high output can be used to drive a relay through a switching transistor. 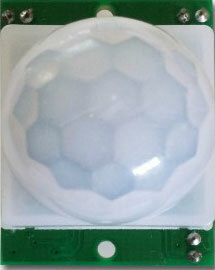 Let us see the details of PIR sensor module. 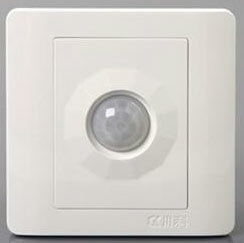 PIR Based Light switches are now available to use as Motion detectors. When somebody passes through its detection area, the load such as light or electric alarm turns on. The delay time can be adjusted from 30 seconds to 3 minutes. After the delay time, the load turns off. The sensitivity can also be adjusted up to 10 meters. 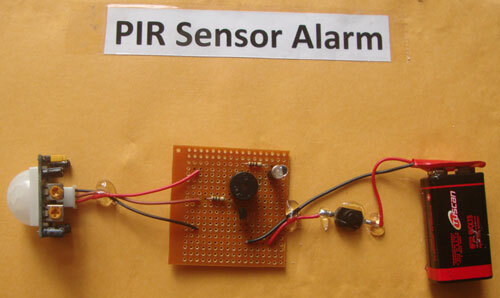 The unit consists of a PIR sensor module and a Tric controlled circuit for AC operation. It uses a transformerless power supply to make the unit compact. Load can be any AC device like bulb, Tubelight, CFL or an AC bell. It also has an LDR based circuit for actvating the circuit only at night. It is very easy to fix the unit and only two wires are needed for connection.It costs Rs. 350 to 550 depending on the make.